The Center for Visual and Neurocognitive Rehabilitation (CVNR), a research center at the Atlanta VA Medical Center led by Emory faculty, has received renewal for an additional five years. One of 13 similar centers in the nation, CVNR successfully competed for renewal for $900,000 annual funding for 2017-2022. 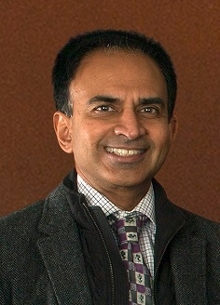 Led by executive director Krish Sathian, MD, PhD, a professor of neurology, rehabilitation medicine and psychology at Emory University, the center focuses on enhancing veterans' health and conducts research on the rehabilitation of visual and neurocognitive impairments, including the use of animal models to explore retinal and neural repair mechanisms. "The work being done within the center is transformative and I am pleased that with this renewal we will be able to continue our work translating scientific discoveries into clinically relevant treatments for veterans," says Sathian. The center's investigators and staff collaborate across specialties and most hold academic appointments at Emory University, Georgia Institute of Technology or Georgia State University. Research at CVNR focuses on three areas; retinal and neural repair, visual rehabilitation and neurocognitive rehabilitation. Recently funded research projects include a study which investigates the effects of acute exercise on word learning in aging and stroke-induced speech impairment, as well as a project examining the usefulness of adding telerehabilitative spatial cognitive training to orientation and mobility training of individuals with vision loss.